With all the celebrations for the Queen’s Diamond Jubilee at the start of June I was reminded of a tradition in past years. 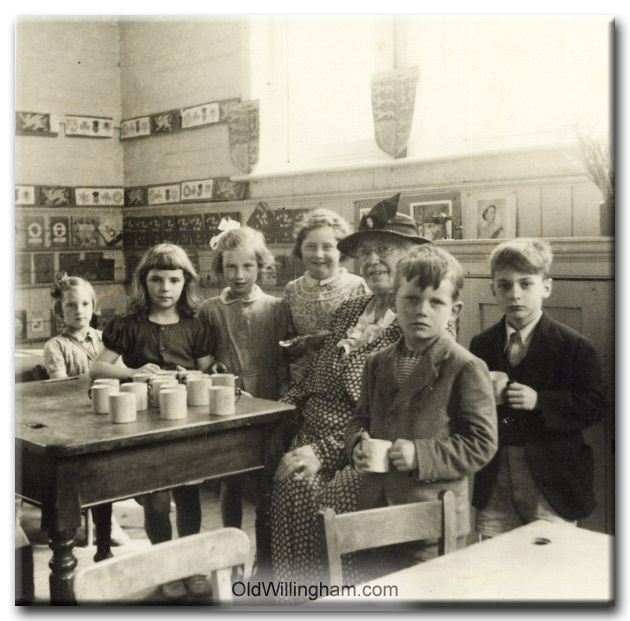 During the Golden Jubilee in 2002 all the village children were given a “Jubilee mug.” In this month’s picture we see the children receiving a souvenir mug (and a spoon) for the Queen’s Coronation in 1953. I wonder if anyone in the village still has their mug? The lady giving out the gifts is Annie Gadsby who very likely would have remembered Queen Victoria‘s Diamond Jubilee in 1897!